Michele Roepke, editor and organizer of the Ecker Record, teaches proper interview techniques to her students while demonstrating with student Cooper Ford. The Ecker Record is Ecker Hill Middle School's new newspaper. 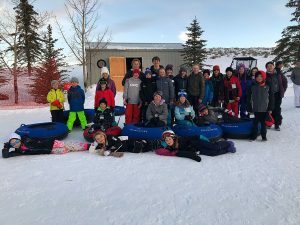 Students at Ecker Hill Middle School recently wrote articles and compiled them into the first-ever Ecker Record. The student newspaper, which reports about local and national news, was recently printed. 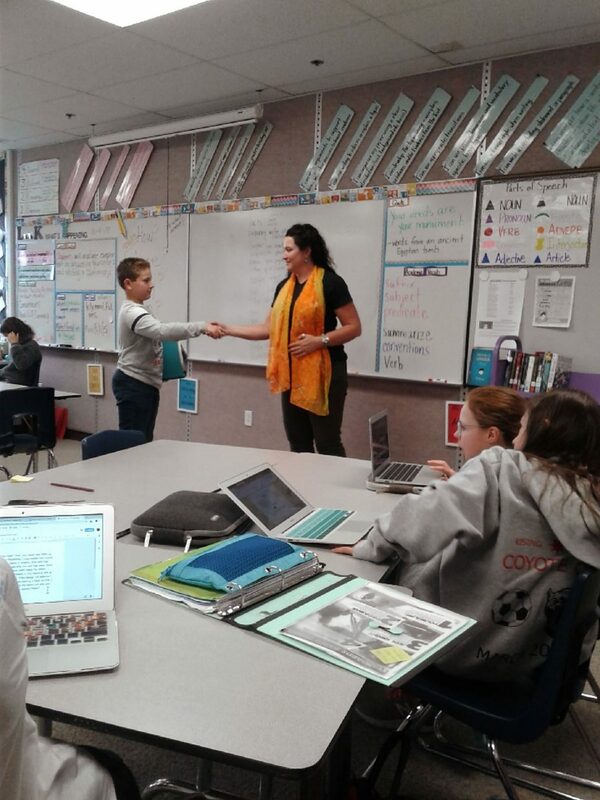 Michele Roepke, a parent of a student at Ecker Hill, came up with the idea for the school’s newspaper club. She adapted it from the Trailside Tribune, the student newspaper from Trailside Elementary School that has been published for the last few years. She said she enjoys teaching kids journalistic skills and wanted to bring the opportunity to middle school students. “I think that it’s appropriate for children to take the knowledge they gain from their amazing teachers and school administrators and then step away from the school experience, so to speak, and report,” she said. The students met after school once a week for two months to produce the paper. 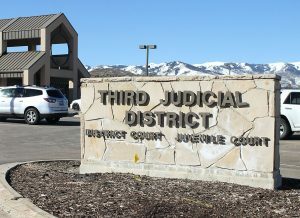 They came up with the ideas for the articles — which covered the possibility of development on the Treasure land, construction and marmots that supposedly live behind the Zions Bank building — and voted on headlines. Tory Hoffman, one of the student reporters, said he liked how everyone had a role and a choice in the process. Every writer had at least one article in the paper. He said he enjoyed writing about local issues because he was able to learn more about what is going on in the community. Plus, he got to interview some city officials. The interviews were nerve-wracking, he said, but they became easier over time. Roepke said the students gain confidence as they do interviews, and seeing that growth is one of her favorite parts of being editor of the paper. 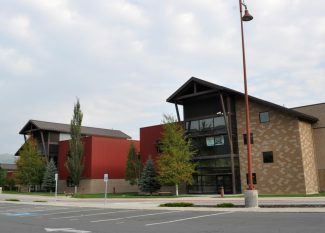 Alex Giauque, another student reporter, met with a Park City firefighter for a story about local wildfires this summer. But when Giauque saw his articles and his name printed on the front page of the Ecker Record, he felt proud. Now, he said he is considering being a journalist when he grows up. Roepke intends to publish one edition of the Ecker Record every year. She partnered with local businesses Spigot Design and the UPS Store to design and print the papers. 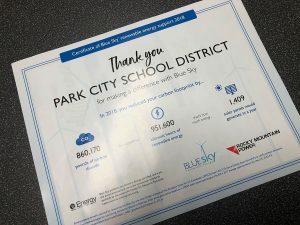 The Park City Education Foundation also donated funds to support the after-school program. Those interested in purchasing the Ecker Record for 50 cents can contact Roepke at miichelemybelle@ymail.com.